New Dream | Community in Action Challenge: Play! How often do you do things "just for the fun of it" (not counting your favorite apps or shows)? If that question gave you pause, then you’re in the right place. Research shows that active and creative play is fundamental to healthy growth and development. And it’s not just kids who benefit: playfulness contributes to well-being for all ages. So let’s disconnect from our devices and connect more with our children, our inner-children, each other, and mother nature. Let’s go out and play! Whatever you love to do for fun—or think you'd love if you gave it a try—go for it! Whether it’s dusting off an old film camera or bike, or learning how to build or bake something from scratch, let that passion take flight. What’s even better than playing? Playing together with neighbors, of course. Funnify your neighborhood by planning a regular get-together. Front yard/stoop Fridays? Saturday night potlucks? Sunday softball? Yes, please! Set the stage for play in your community, while sparking new connections. Start a toy lending library, babysitting co-op, outdoor sports or play group, or whatever sounds fun and gets you and new friends (young, old, or anywhere in between) out to play! 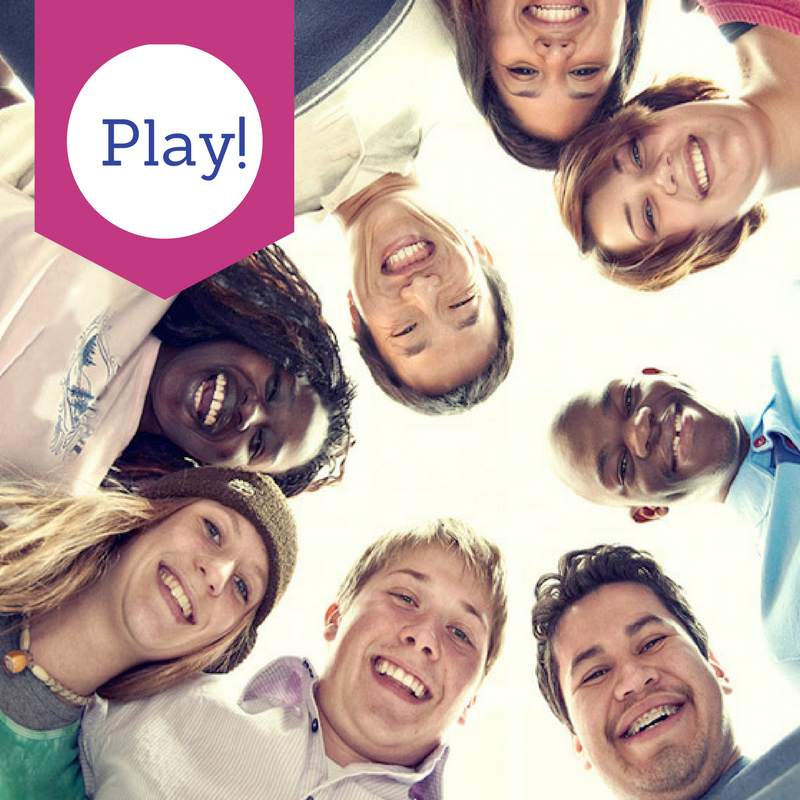 We encourage you to complete the "Play!" challenge within an eight-week period; however, there may be different timing that works best for you, and that is OK!